At six o’clock, the music turns the blues with six-time Blues Music Award nominee Ana Popovic and her band. The Serbian guitar-player and singer tours the world and has become a popular performer at blues festivals both here and abroad. She was the only female guitarist invited to be part of the Experience Hendrix Tour, sharing the stage with stars like Buddy Guy, Jonny Lang, Kenny Wayne Shepherd, and Zakk Wilde. And her records routinely reach the top of the Billboard Blues Charts. Walter Trout will bring a very special guest to the stage with him, the incredible saxophonist Mark Rivera. 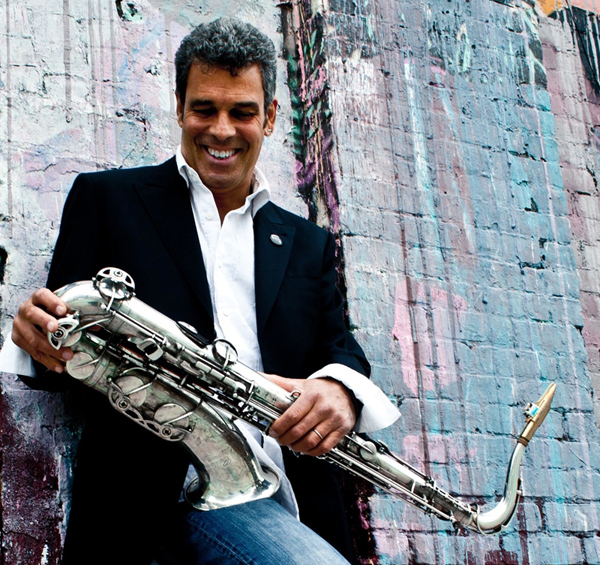 Rivera may be best known as Billy Joel’s longtime saxophonist, contributing some of the best known sax work in music history, he also tours with Ringo Starr’s All-Star Band and has worked with Elton John, Steve Winwood, Joe Walsh, and many others. Major sponsors for this summer’s Morristown Jazz & Blues Festival include the Gia Maione Prima Foundation, Bijou Properties, ConnectOne Bank, JCP&L, Hampshire Companies, Inglesino Webster, NJTV, Normandy Real Estate Partners, and Riker Danzig. Additional sponsors include Atlantic Stewardship Bank, Alaimo Group, Atlantic Health, Day Pitney, Delaware Raritan, F.J. Rawding, 40 North, George and Martha’s Restaurant, Greenbaum Rowe Smith Davis, Headquarters Plaza, Investors Bank, Iron Bar, Leona Morris, Lindabury McCormick, McEnerney Brady, Morristown Municipal Airport, the Community Theatre at MPAC, NK Architects, O’Donnell McCord, The Office Tavern Grill, PKF O’Connor Davies, PSEG, Toll Brothers, Town Bar & Kitchen, Toll Brothers, Topology, Vertical Realty, NJ, Morristown Parking Authority, Trustees of the Morristown Green, Hot House Jazz Magazine, Morris Arts, MorristownGreen.com, NJ Arts, NJ Jazz List, and the New Jersey Jazz Society. The Morristown Inn is the official hotel for the Festival and is offering out-of-town visitors a special rate for the weekend. For more information, visit www.morristownjazzandblues.org.